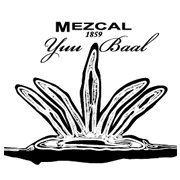 Grupo Yuu Baal, is 100% Mexican company, a social enterprise that exalts each of the traditions of the Oaxacan peoples that produce Mezcal, so that its entire production system is basically handmade. Grupo Yuu Baal, is made up of producers from San Juan del Río, San Luis del Río Tlacolula and Miahuatlan, Oaxaca. The quality of the Magueyes begins in the land and in the care of them; all the works as they are: the sowing, the cut and the distillation are carried out of manual form, treats of always respectful processes with the environment. Blanco -Excellent for all occasions, as an appetizer or even as a complement for some of the most diverse regional foods, national and international alike. You will delight in a note of soft flavor and exotic nature, followed by a refreshing flavor of intensity that reflects the first years of the maguey plant. Reposado - Pale gold color of great body and excellent aroma, an extreme force of seduction is perceived on the palate due to the excellent ripening process, a quality that places it on another level, with the finest and most exciting liqueurs. Anejo - From amber to gold, with a great body and aroma, flavored with wood and nuts, ideal for those palates who want to find in this drink the perfect combination of natural and wooden vessel, slightly smoked.